That being said, hyperlanes and artifacts are two things I'm enormously excited for. 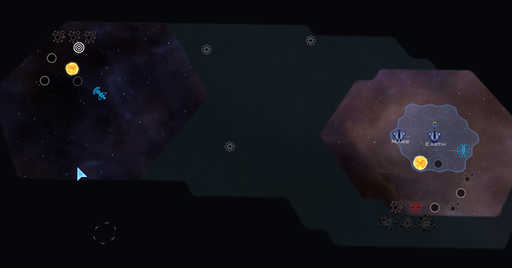 The supply ships will also add a layer of strategy that I don't think any other 4X game has. These features are all just bloody fantastic. Well done, Brad and team! New stuff, always nice. 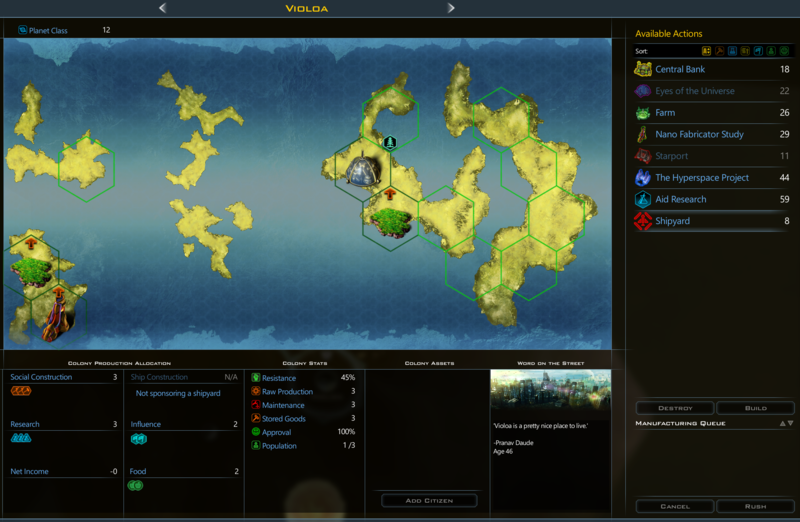 If it works, planet buffing Mercenaries, broken for the AI (AI never chooses them, does not know what to do with them). 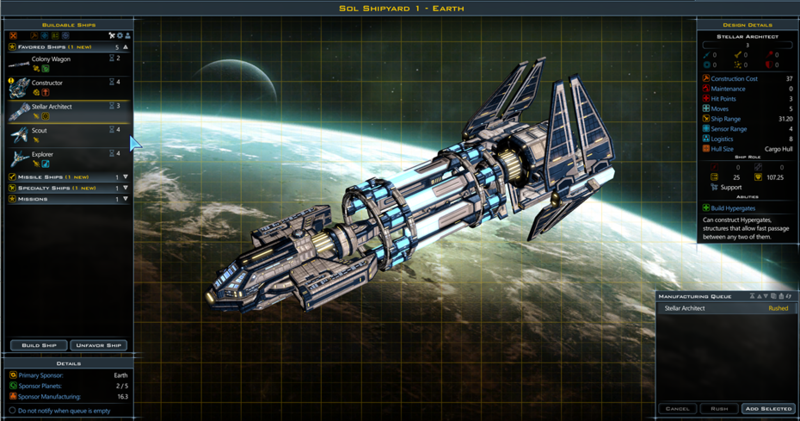 Planet buffing Government ships also broken for the same reason the mercenaries are broken, AI uses them as scouts. Commonwealths (glad you only gave this a score of 1), AI does not use them. 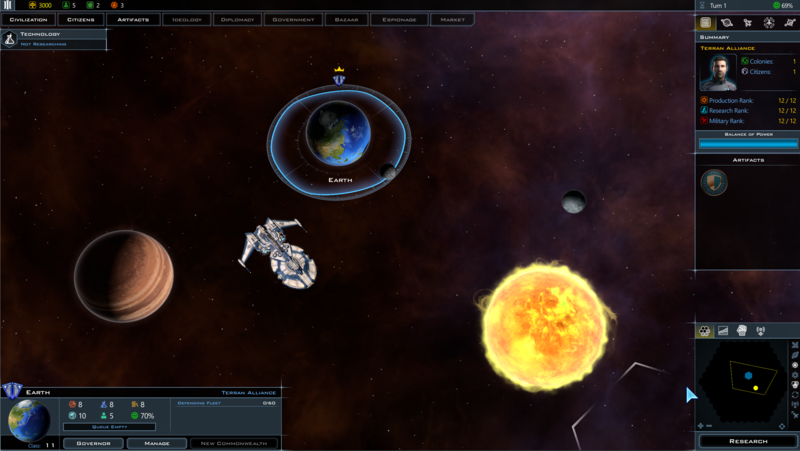 When created by a player it is currently a "Hey AI have some free planets", why would anyone want to do that? Be nice if stuff got fixed before a paid content updated was released. You know fix stuff we already paid for. Will there be a limit as to how far we can space the hypergates apart? 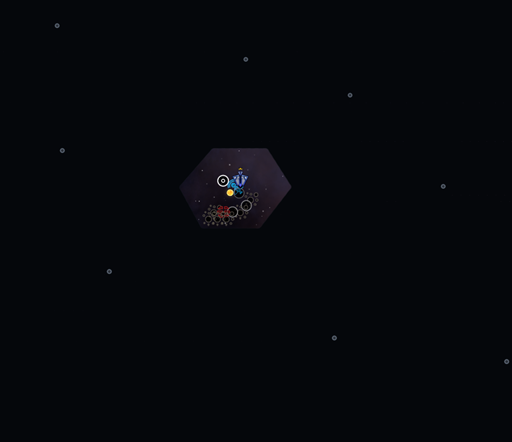 I noticed the Stellar Architect had a distance of 32.20. Can we modify it to go farther in the ship builder? One thing I still struggle with, is that some buildings provide flat bonuses to Research or Construction while others, like Factories or Research Laboratories, provide a relative increase. 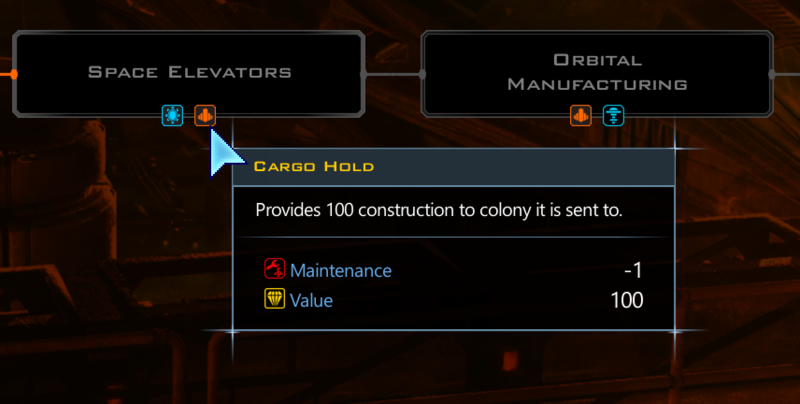 So, wouldn't it always be the better option to build the 'flat bonus' buildings on a new planet? In particular since in Retribution population growth is so slow. They can go as far as you'd like. I think there are a lot of good and interesting changes coming in this expansion. Here are some comments and questions about some the changes. There isn't much in this post about them, but I suspect I will be happy when I get one or more of them and unhappy when I don't get others. I will probably have to adjust my war plans based on what I have or don't have but want. It seems like everyone will have the problem the Yor have: their population runs out while there are still planets to colonize. I will be able to handle it, but I wonder if the AI will. The Yor aren't as bad as they were, but they still build colony ships they can't use because they don't have any excess population to put on them. Will the other AI do this now? If the AI can be taught to quit building colony ships they can't use and build what is needed to increase their population, it won't be a problem. Also, the Yor need to be taught to build constructors and go after Durantium and Promethion earlier to increase their population. They already know how to and will build population if they ever get Durantium and Promethion. I like this. I don't like it the way it is now with them so close together, so I usually play with fewer stars to increase chances of having more space without stars. This is great. I have been in galaxies where there wasn't a habitable planet anywhere near me and in others where there were 15 or 20. I did not play very long in those games. 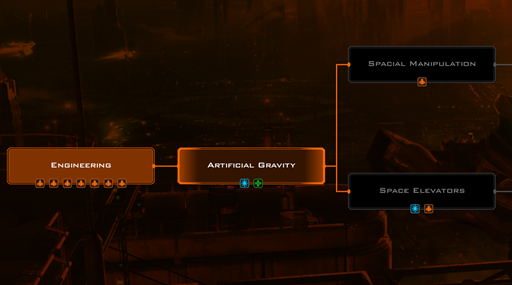 What about the starting locations for the races. The current version of the game has a problem that sometimes has races starting in adjacent or very close star systems. 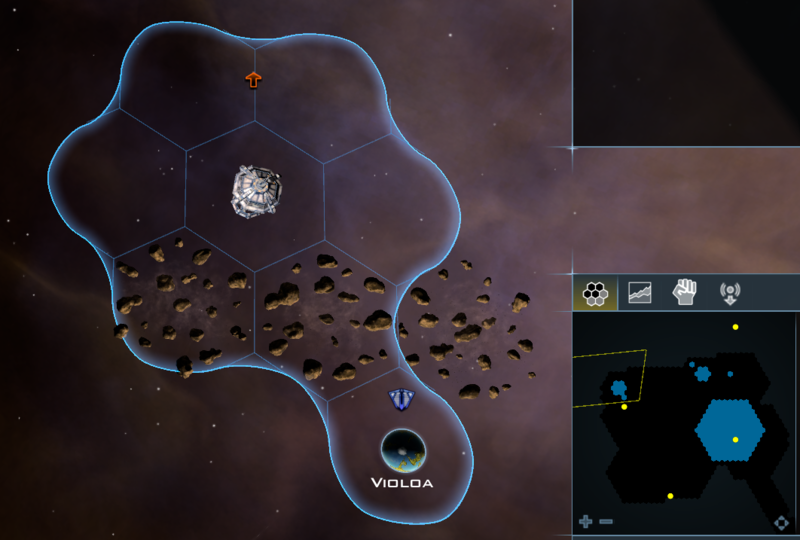 I made a mod (https://forums.galciv3.com/492624) that keeps the races further apart. Is something like that part of the change? I think these are going to be a very welcome addition. I can see these being very useful in peace and a good target for destruction during war. I'm glad there is no limit on how far apart they can be. Can they be improved so they are harder to destroy? Are there techs that increase the speed of ships using them? I like that ships can enter and leave the hyperlanes any place they want to. 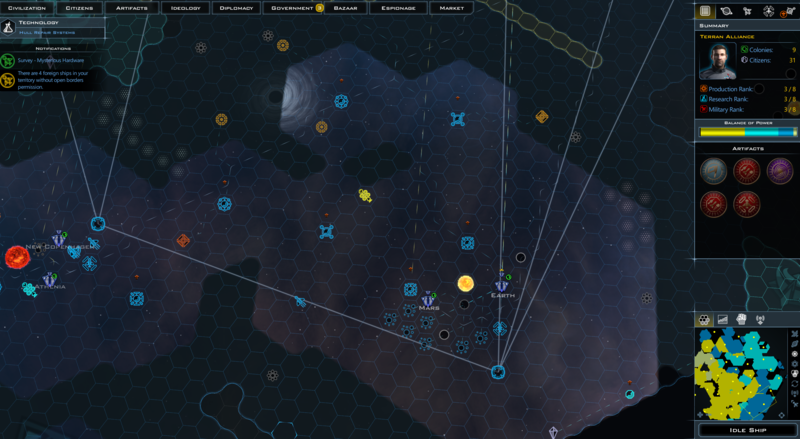 Didn't you mention somewhere that all ships can use everybody's hyperlanes, which will allow some good or bad tactical situations, depending on who is giving or receiving? I'm looking forward to the release. Stop making the colony rush harder! I'm a player whose skilled at the colony rush. I don't appreciate efforts to nerf it. That said, I'm liking what I've read about hypergates and cargo ships. By the way, is going to be a way to control what features we from each DLC? I might want the galactic markets from Intrigue, but not the governments or crisis stuff. I am almost as excited as I was for Crusade. Nice job. 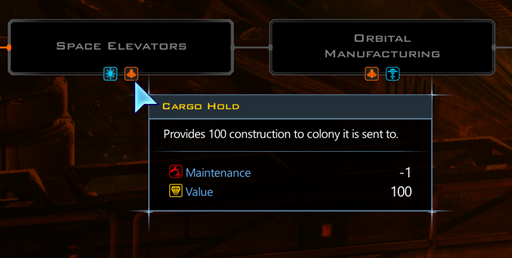 One thing I didn't quite understand was the Supply Ships - we have to build those, is that it? So another jockying for build time in our already busy primary shipyard, which is our only good shipyard for the first 100 turns already... I don't see how that's going to make the game better. These changes seem like they are designed to kill the Colony rush. The population growth change, and the addition of the Supply Ships and Hypergates, seem to suggest what you really want the players to do is colonize about four planets (max allowed by the first governments) and then build a tall civ from there. "but simply colony rushing early on is going to have consequences." Colony Rushing already has consequences. 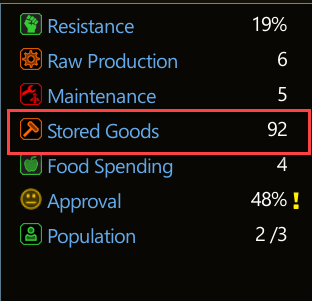 With the Governments of Intrigue, and the 26-turn minimum duration we must have a government enabled, Colony rushing already has a huge consequence: the total bottoming-out of Moral, which affects Production/Research/Wealth. On any map Large or bigger everyone feels the Moral bite because planet numbers quickly exceed everyone's ability to get to them. But at least we had that choice; at least there were ways to counter it with some Moral tech and rapidly researching new Governments at the expense of researching other, important tech. But now is like: too bad Colony-Rushers - we're here to penalize you as much as possible until you give up on colony-rush as a strategy. I get it. You guys are trying to appeal to that whiny faction of players who complain a lot on the forums about the Colony Rush (because they refuse to "Get Gud"; these are the same players who get stomped when the Drengin or Snathi attack because they don't understand preparation; but go ahead and cater to the short bus players). The best part of Crusade wasn't that it gave us Citizens; the best part was that it opened up options for how to play the game. Want to focus on Research from the outset? You could. Want to turtle-up in your own corner of the Galaxy and just do Research and make alliances? Then go Diplomacy and Research and do it. Want to Warmonger? Colony rush, grow strong, make ships early, and beat down your neighbors. But this is a step backward from Crusade. This is a restriction of possible opening moves. This is taking the chess game and saying "pawn to D4 is now the only move you're allowed to start with". I hope you guys play-test the hell out of this before you release this. Because on paper, in theory, this looks ultra-restrictive and seems like a step backward. 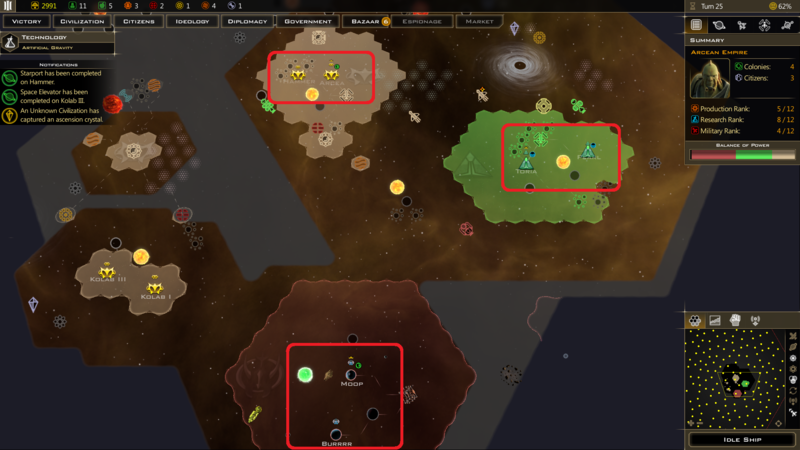 Why shouldn't Stardock nerf the Colony Rush? The idea that you can turtle and build a tall empire and have some success with it is a myth. You can role play that you're The Man With A Tall Empire, but can you win that way with anything like regularity? If you start with 3 20 Level planets within easy reach and you get those, why can't you Xploit and Xterminate from that base and pick and choose to colonise only the best planets to complement them rather than "Better build another ship, get that Level 5 planet so the Drengin don't get as many planets as me!"? As things are, the Colony Rush appears by a country mile (or whatever the space equivalent is) to be The Best Way To Win. I'm happy for it to remain so, but not by such a big margin and to be dependant on how a player plays after the opening period when The Rush is largely over. I get that everyone has their favourite strategies and ideas for Start/Middle/End of each game. However, to throw a fit because Stardock want to offer alternatives that, in their own way, are as likely (or close enough to not be obviously non-prime) of success as yours seems kind of churlish. At present, too many alternatives offer a rather obvious illusion of a valid choice (choosing between a box with a ten carat diamond in it or a box without any diamond in it isn't a choice) seems kinda of churlish. These plans aren't, as cbholmes claims, restricting opening moves, they're restricting pointless opening moves. I really like the idea of Stored Production - I wonder if that was one of those "obvious in hindsight" ideas? However, to throw a fit because Stardock want to offer alternatives that, in their own way, are as likely (or close enough to not be obviously non-prime) of success as yours seems kind of churlish. Math lesson for you - there's always going to be an "optimal" way to play a game like this. Colony rush is fun. It also relies the most heavily on the "Explore" part of 4X. It makes discovery meaningful. Turtling-up doesn't require exploration or discovery; just pick your first 3 colony planets and stop. If you want Stardock to neuter this game and reduce the opening moves, turning this thing from Chess to Checkers, but all means, support that. And I have every right to voice my dissatisfaction. With the .001 default population growth, getting colonies at all, let alone colony rushing, does not seem viable early game. Now that the default growth rate has been nerfed to the point where it almost equals the growth rate for synthetic races (0.01 vs. 0.00), do you feel changes need to be made to synthetic races' population growth mechanics to make them more on par with the other races? 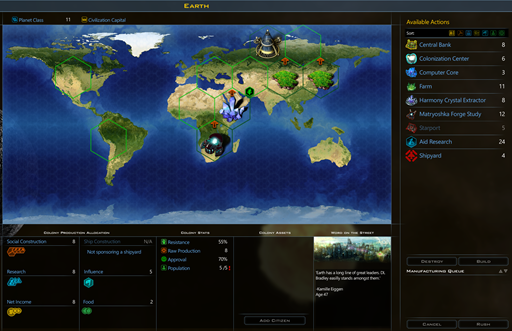 Also, for the campaign, I'd like to suggest that some levels be won by doing things other than invading enemy planets such as getting a key planet across the galaxy up and running under a time constraint (nice way to introduce players to hypergates and cargo ships), spreading influence, researching technologies deep in the tech tree while fending off attackers, or raising your diplomacy to a level and doing favors to form alliances (the Terrans might need to work on this after they're done with their crusade). I really think it would add some spice to the levels that have been missing (imho) in the GalCiv3 campaigns so far and could highlight the full breadth of what the game has to offer if done right. Frogboy I notice that you have rated Intrigue's elections and governments as only scoring 3 points relative to citizen's score of 10. I agree that this feature is not overly impressive. I would like to see more differentiation between democratic/election based governments and non election governments. 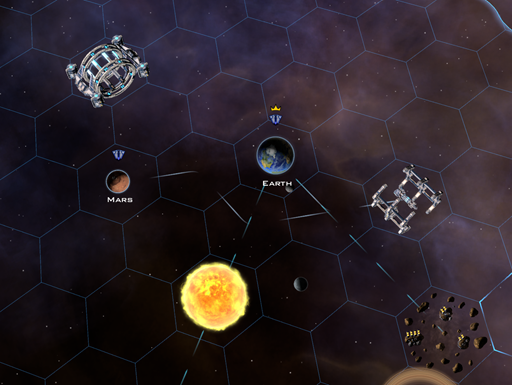 Furthermore, galactic civilisations 2 had civil wars occurring following drops in approval and electoral popularity. The politics was much more engaging and diverse than intrigue. Although I like the features promised so far in your latest dlc, im unlikely to buy on launch due to the game's simplistic approach to government and politics. Are there going to be any improvements to the new features originally added in intrigue? 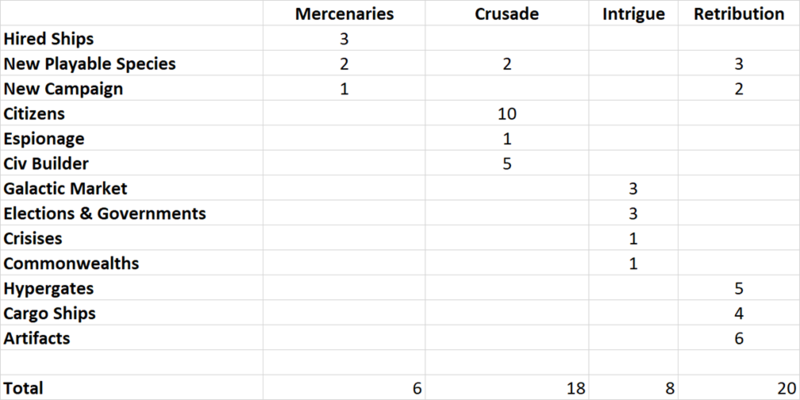 You candidly admit that you think crusade was a more successful expansion in terms of your points score. Primarily I would like to be able to choose my own cabinet from a range of candidates (each with positive and negative political traits) as well as witness civil wars for the AI and player. 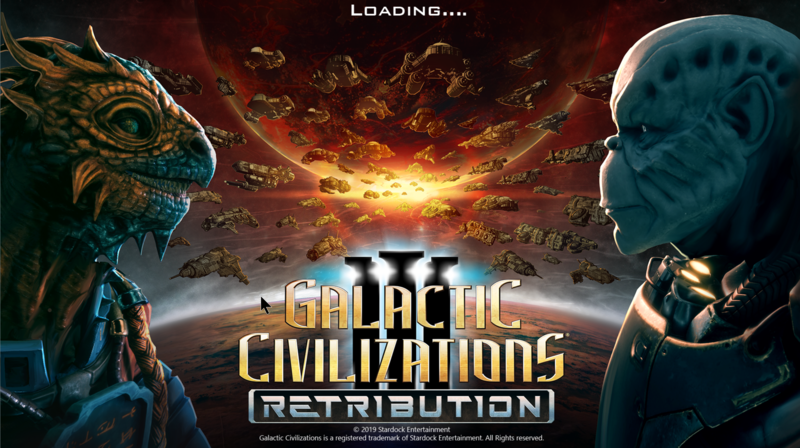 The civil wars og galactic civilisation 2 provided an interesting challenge for larger and more powerful civs which galactic civ 3 sadly lacks. Alongside this it would be a bonus to see the galactic council playing a much larger role in galactic politics, with new and more frequent resolutions as the game progresses. eg the option of forming coalitions (as planned in the upcoming Total war Kingdoms by Creative Assembly). or something like the political favours system in the upcoming civilisation 6 expansion, gathering storm. Overall, more depth and less breadth regarding game features and mechanics please. I really like what I see so far. Are pop growth techs/improvements going to be more of a thing with the revamped tech tree, along side the new cargo ships? Currently with pop growth the way it is, they have a very limited value, because pops grow really fast as it is. Your math comment was my entire point: Of course there's an optimal way, but does it have to so Freaking Obviously Better and The Only Way? I didn't mean to imply that you Colony Rush folks have no right to complain, of course you do. But I stick by my original point, even if I didn't make it too well, that every strategy should have it's advantages as well as it's disadavantages to make them at least roughly equal in terms of winning certainty, given how a player starts a game, plays the mid-game and deals with whatever the galaxy throws their way. So Colony Rush Players can still ace the Colony Rush, but stuff something up and lose, for instance. Not 100% win because of their productivity or whatever. Lots more steps and choices than: Step 1, Step 2, Step 3, Winner! obviousness. Is there actually some difference (other than speed) when being in "normal" space, and being on hyperlanes? Maybe I'm overthinking this or think too much in B5 terms where normal space and hyperspace were distinctly different, and combat seemed to have occured mostly in the former. 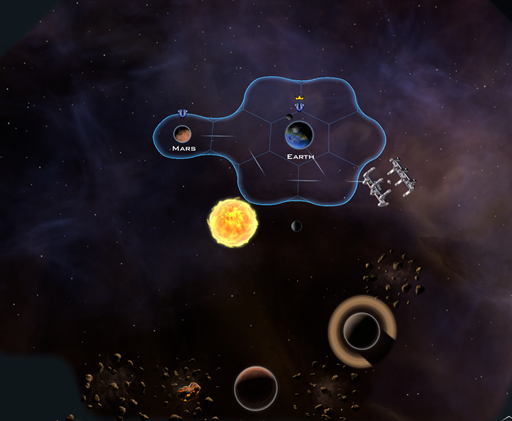 Can every ship/fleet intercept enemy ships on a nearby hyperlane, will this just be like normal combat? I feared more micro-managing steps at first.. but with this latest comprehensive journal, the actual details makes the "development" paths much clearer. Hypergates & Supply-Ships certainly are candy magic in that perspective of our (important) growth plans. Specially enjoy that larger spacing of Systems.. tactically, we gain battle lanes where ship/to/ship combat has more impact than simply targeting every nearest planets for swift invasion(s) which still must occur anyway. Distance now has complex (Hypergated!) meanings beyond strategy alone. So, can other civs use your star lanes? Inquiring for a friend. I like the supply ship concept unreservedly, but I'll withhold judgement on the population growth nerf until I can see it in action. For those who think the colony rush strategy is absolute, I'd point out that intrigue + governments absolutely limited colony rush potentials in the beginning by setting the morale penalties by government size. 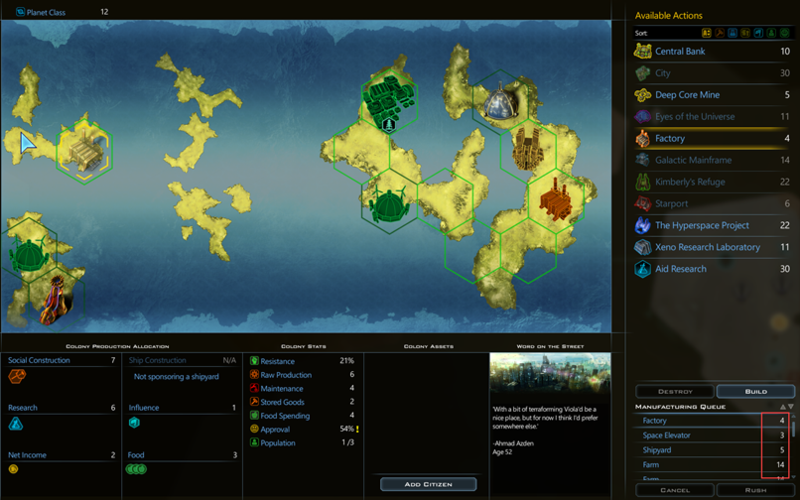 By turn 50 you couldn't manage 15+ planets without having changed governments twice, and you'd be hard pressed to keep them productive due to the morale penalties. 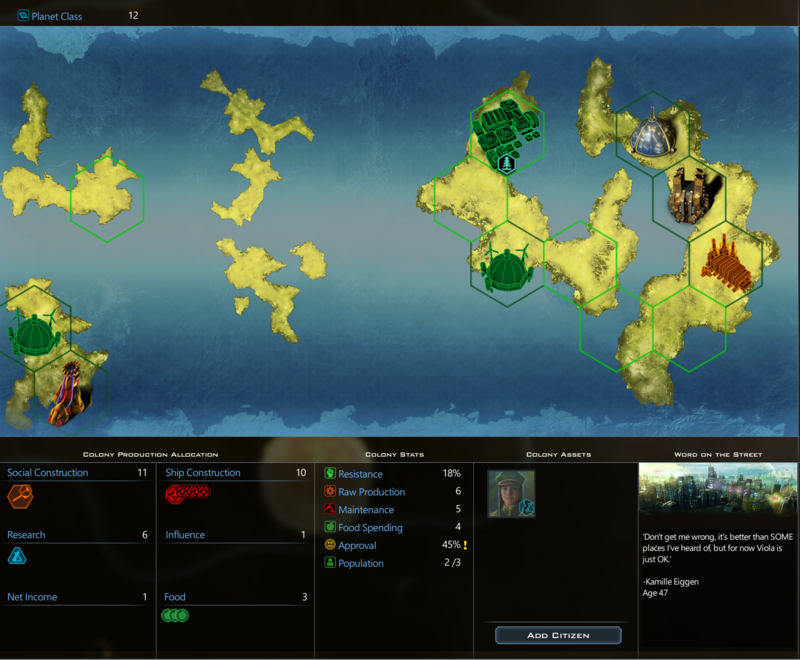 For any map at huge or greater, you can really only rush once you have both morale and engine high enough to reach sufficient planets and keep your people happy. The problem with the current "colony rush" isn't the concept of fast expansion. It is more of an issue of mindless expansion. If any colony, no matter what, will quickly provide 4 raw production, then grabbing the first 10 means having 40 raw production before the mid-game. Instead, the ideal is to make which planets you colonize matter. Thus, artifacts, natural resources on them, etc. should be more of a factor and thus, if the early game population growth is greatly slowed down (again, through immigration technologies it gets back to where it was but that's now a mid-game feature) then which planets you choose to colonize matters a lot more. Trust me, it's a lot more fun. 1. Will modders be able to influence the map generator more than it's possible at present? 2. Do hyperlanes affect the range of ships? That is, when two endpoints of a hyperlane lead across territory not in range of a certain ship, will that ship still be able to travel the whole lane? 3. Can one hyper gate be linked to only one other, or to more than one? 4. Do hyper lanes have a speed rating of their own, or do they simply multiply ship speed by a factor (so that still the individual speed of ships is important)? 1. The map generator isn't part of the expansion. There's a lot of XML stuff that you can mod though. 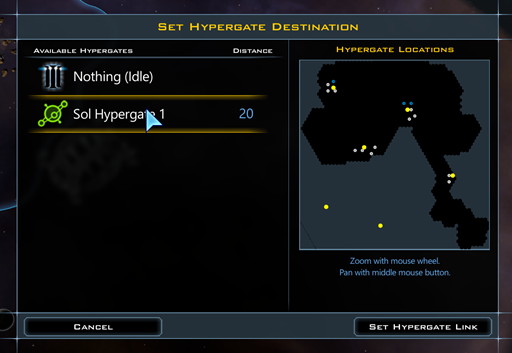 Ok, so a hypergate can be the origin of only one lane but the destination of many if I understand that correctly? 1. What is that reptilian race on pictures? Something not yet announced? 2. how expansive will it be to build a gate, comparable to normal constructor? Will it take administrator ? Can links be changed? 3. "Coming this winter" means now (plenty of snow I see) or in like 10 months?